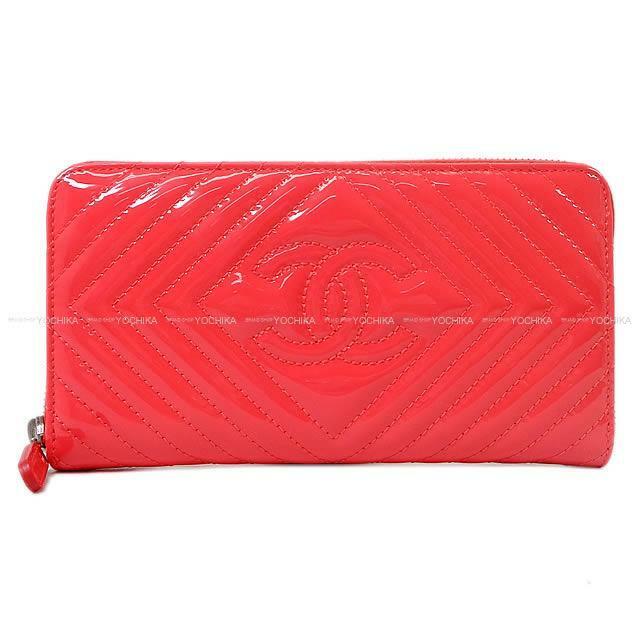 CHANEL 2017 long wallet, a very easy-to-use round zipper long wallet arrived! Bright pink that seems to be energetic every time you use it, the gloss of patent enamel leather is very cute! Specifications, zipper coin purse: 1, wallet: 3, card holder: 12. It is a round type that opens wide, so it's easy to see and organize its contents!